There’s nothing more iconic in the skate shoe industry as checkerboard black and white vans. 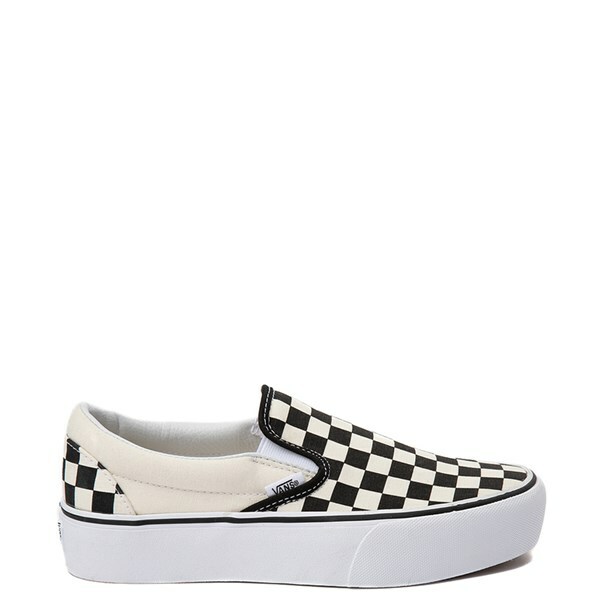 Choose from many mens, womens and childrens styles of black and white vans, whether they are checkerboard or not - the Old Skool Skate shoe, slip-ons, slides, as well as high tops, low tops and suede versions. Journeys also has many exclusive Vans shoes as well. And don’t just stop at the kicks -- freshen your wardrobe with a matching Vans t-shirt or two. Shop the entire Vans brand collection!